Attention DHO! We have a new dad in our midst! Please welcome Sixguns55 to our fraternity of dads! He joined on 11/03/2018! 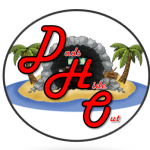 Sixguns55, on behalf of DHO and all the dads here, welcome to our little online man cave. If you want, give a quick hello and maybe tell us about yourself; What brings you here, how many kiddos, and what games do you like to play? I sent you a private message with some more details about Dad's Hideout, but if you have any questions at all, just let me ( @DHO Ambassador ) know and I will be happy to help. You can also reach out to the admins ( @thedakar or @xJediDadx ) or any of the moderators.